A subject readers here at HealthyPets and clients at my animal clinic are very interested in is the kind of food they should be feeding their dog or cat for good health. A balanced, raw, homemade diet is the best food you can feed your dog or cat. It will be nutritionally balanced because you’re following recipes like those found in the cookbook I co-authored, Real Food for Healthy Dogs and Cats. Raw means the food is unadulterated and still contains all the enzymes and nutrients that are typically destroyed during cooking or other types of processing. Homemade is the best option because you are in complete control of the quality of ingredients in your pet’s diet. I recommend pets get plenty of nutritional variety, and another great thing about serving homemade is you can buy seasonal fruits and veggies on sale, as well as protein sources (meats), and use them in rotation. It’s important that the diet is balanced, and you should be aware that there are raw food pet diets entering the market that are not yet proven to be nutritionally complete. These foods often say “For supplementation or intermittent feeding” on the label. At the present time, these diets are found only in the freezer section of small/privately owned or upscale pet boutiques – not in the big box pet stores. You can also find a selection online. The reason this type of pet food is so far down the list is because in order for the food to remain “semi-moist,” an ingredient called propylene glycol is added. This is a scary preservative that is a second cousin to ethylene glycol, which is antifreeze. And while propylene glycol is approved for use in pet foods, it is unhealthy for dogs and cats. I do not recommend feeding any food that contains this additive. Dead last on the list and the worst thing you can feed your pet is an unbalanced, homemade diet – raw or cooked. I’m seeing an increasing number of misguided pet owners in my practice who think they’re doing the right thing by serving their pet, say, a chicken breast and some veggies and calling it a day. Yes, the food is homemade, but it’s nutritionally unbalanced. Pets being fed this way are showing up at my clinic with endocrine abnormalities, skeletal issues and organ degeneration as a result of deficiencies in calcium, trace minerals and omega fatty acids. Dr. Becker is the resident proactive and integrative wellness veterinarian of HealthyPets.Mercola.com. 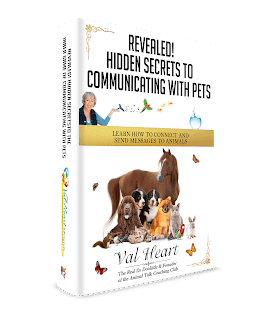 You can learn holistic ways of preventing illness in your pets by subscribing to MercolaHealthyPets.com, an online resource for animal lovers. For more pet care tips, subscribe for FREE to Mercola Healthy Pet Newsletter.